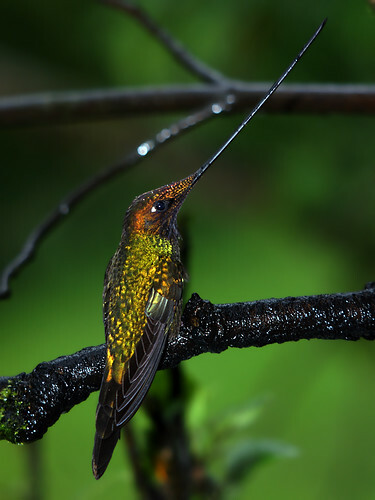 That is a Sword-billed Hummingbird, Ensifera ensifera. Not, sadly, one of the hummingbirds I saw in Ecuador. » Sword-billed Hummingbird (Ensifera ensifera) is © David Cook and is used under a CC by-nc licence. Oh my soul. Are we sure this isn’t some tinsel Christmas ornament? But he can’t sing.